We are pleased to announce a successful exit from MetaSource LLC through a recapitalization by a senior lender. 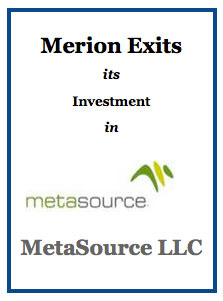 Based in Bristol,PA, Metasource provides document management and business process outsourcing. DataBank IMX, LLC Announces Acquisition of OSAM Document Solutions, Inc.